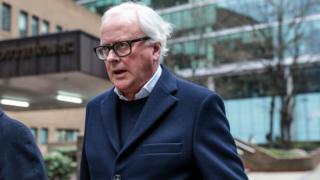 The jury in the fraud trial against four former Barclays bankers - including the former chief executive, John Varley - has been discharged. The case dated back to the financial crisis, when the bank raised billions of pounds from Middle East investors. Reporting restrictions are in place. The high-profile case, the first jury trial involving such senior bankers, took place at Southwark Crown Court before the jury was dismissed on Monday.